The DMA gave me some very awesome opportunities early in my career, and I'm so proud to list them as part of my accomplishments. From the Search Engine Marketing Council, to Mobile Marketing, and all of the great people that I've met through their organization over the years. 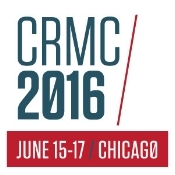 I have been speaking at the CRMC annual event for many years, which is a retail conference held in Chicago, IL. Topics ranged from social to mobile to Omnichannel. I have been lucky to be part of many conferences, symposiums and panels over the years.